← Adding to the list. In this post we will be talking Custom…. 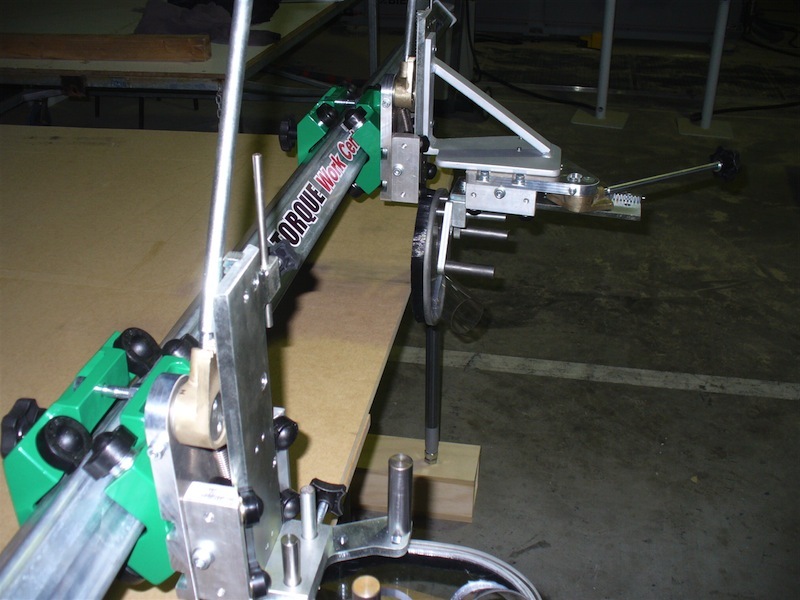 a custom made Torque WorkCentre that is.. It seems that as part of a multi million dollar contract, they need to make a variety of desks, both stand alone and with returns [ so this means that some have two gable ends and some only one..]. The desks were made from 54 mm [just over 2 inches] thick plywood ranging in width from 600mm [2 feet] to 1200 mm [4 feet] and on each gable end there were 20 mm [3/4 inch] exposed fingerjoints/boxjoints. As you know fingerjoints are made with the fingers proud of the work so that afterwards you can trim off the excess. This is normally done with a hand plane or sander. Due to the huge numbers [read several hundred] of these gable ends that had to be cleaned up…well you work it out… that’s a lot of work…and therefore not really a viable method. 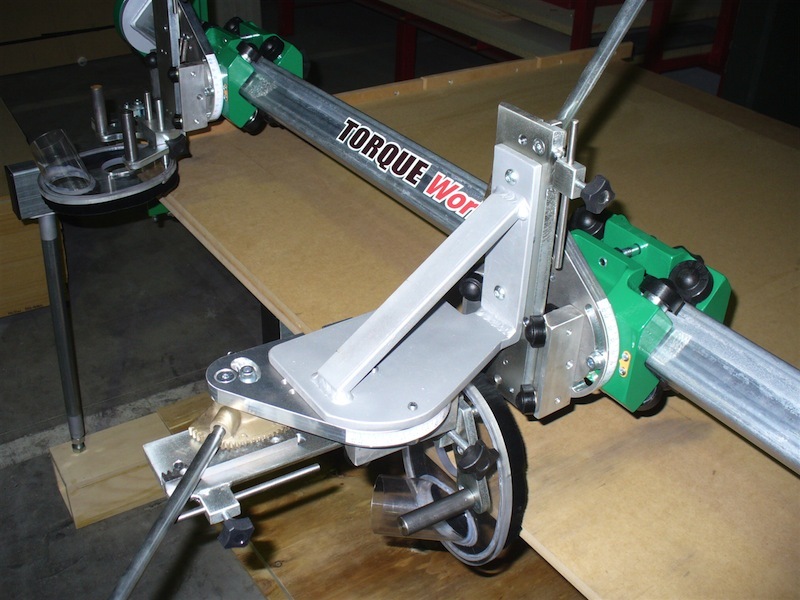 One of the guys at the company remembered seeing a Torque WorkCentre at a wood show and contacted me…He had been told that I knew a lot about the Machine and asked if I thought the Torque could do the job..
Next challenge was the fact that the desk returns….. only one leg….were up to 1600 mm [0ver 5 feet] long and could not be set on the bench top with the leg to the front…UNLESS we make the arm longer… OH OH now there is no room for the support arm…so rule that out…. Fixed that problem by adding a custom build L-bracket to the vertical plunge control and fitted another plunge control at 90 degrees in a horizontal mode..hey two heads on one arm… we had done two arms with heads before but never two heads on the one arm…. The above photographs have the routers removed to show the plunge systems. 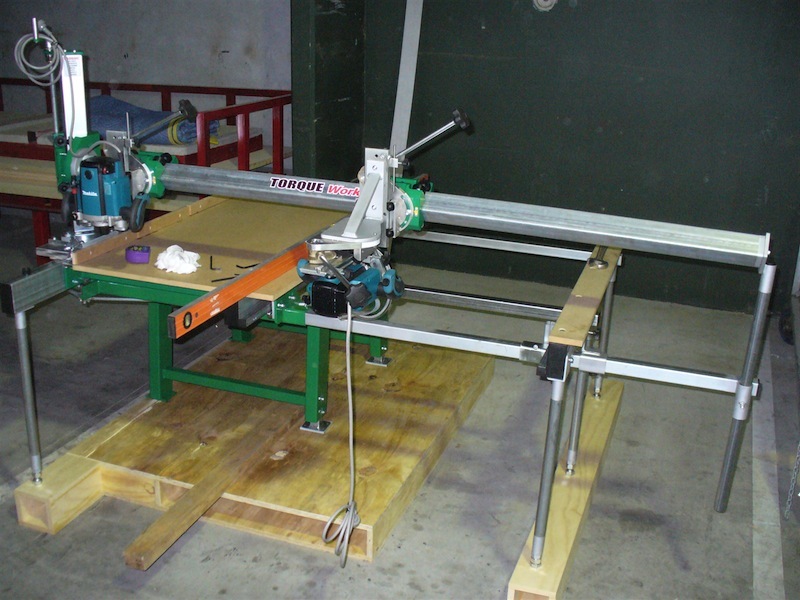 That is certainly enough for now…but to re-cap… the machine has been customised to be 1350 mm [4 1/2 feet] wide with an arm 2100 mm [7 feet] long…. 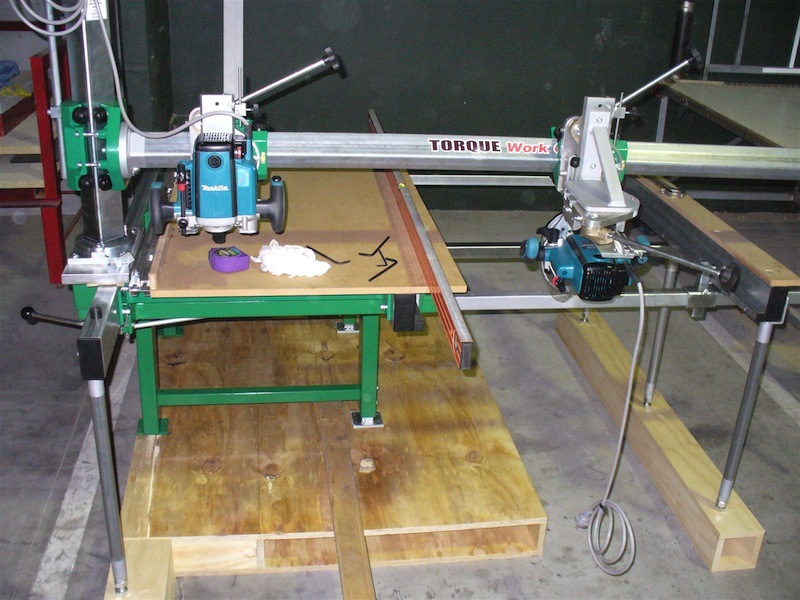 two carriages with one vertical plunge and on with both vertical and horizontal plunge…reconfigured brake, extension arm and legs, addition bearing on the extension beam and a purpose build stage. Next episode I will replay the trials and tribulations of picking up the machine from the factory, delivering and assembling the unit. 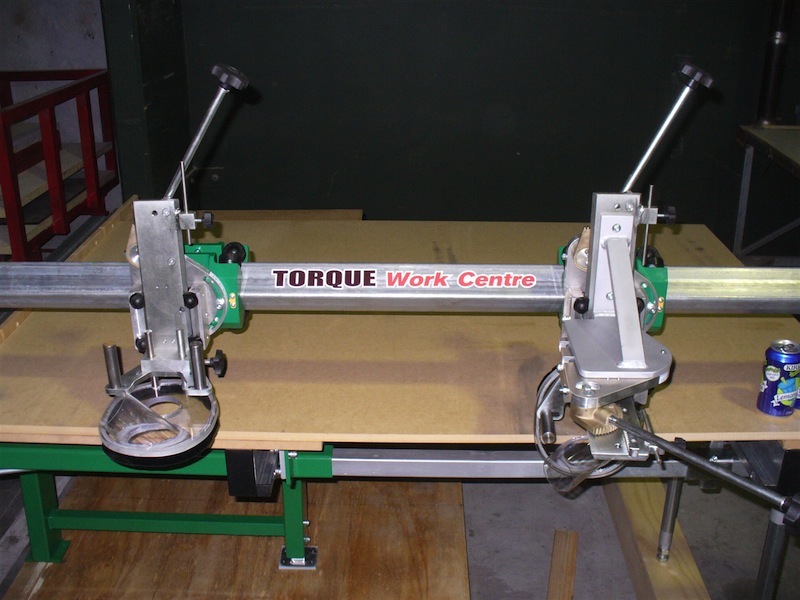 This entry was posted in General, project, Torque and tagged Business, Machinery and Tools, Tools and Equipment, torque workcentre, Woodcraft, Woodworking Machinery. Bookmark the permalink.